Dr Gang Lu received a BEng degree from Central South University, Changsha, China in 1982, and a PhD degree from the University of Greenwich, UK in 2000. He started his career as a mechanical engineer, serving for the iron- and steel-making industry in China, and had been a Post-Doctoral Research Fellow with the University of Greenwich and the University of Kent. He is now a Senior Lecturer in Electronic Instrumentation with the School of Engineering and Digital Arts, University of Kent. His research interests include sensors, instrumentation, measurement, condition monitoring, digital signal processing, digital image processing and applications of artificial intelligence. He has been involved in a range of projects on advanced monitoring and characterization of flames in both lab- and industrial-scale fossil-fuel combustion systems. 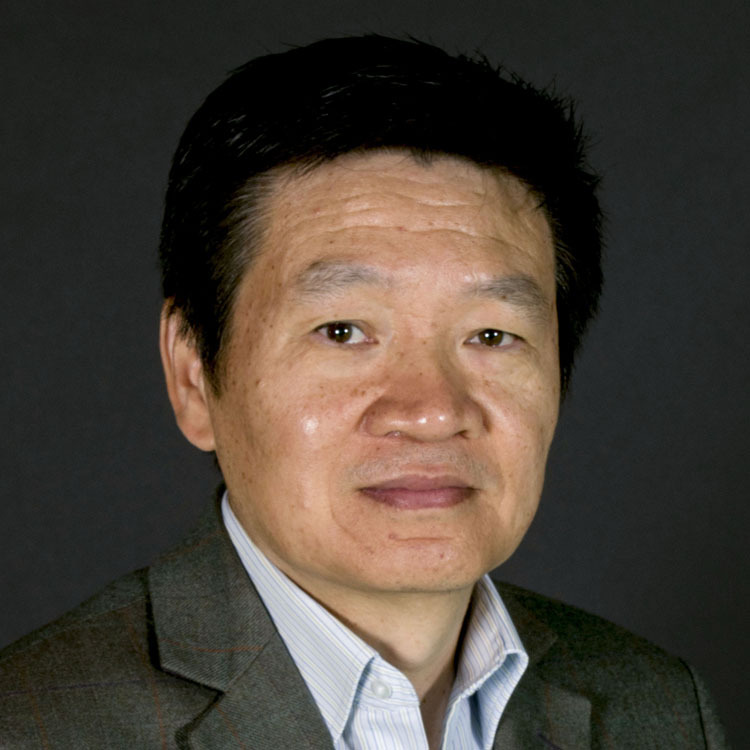 Dr Gang Lu is a Chartered Engineer, a senior member of IEEE, and a member of the Energy Institute. He was awarded the Engineering Innovation Prize (Energy) by the IET in 2006. Showing 50 of 121 total publications in the Kent Academic Repository. View all publications. Guo, M. et al. (2018). Temperature Measurement of Stored Biomass Using Low-frequency Acoustic Waves and Correlation Signal Processing Techniques. Fuel [Online] 227:89-98. Available at: https://doi.org/10.1016/j.fuel.2018.04.062. Bai, X., Lu, G. and Yan, Y. (2017). Fractal Characteristics of Thin Thermal Mixing Layers in Coal-Fired Flame. Journal of Combustion Science and Technology [Online] 3:225-230. Available at: http://journals.tju.edu.cn/rs/oa/DArticle.aspx?type=view&id=R201606021. The images of turbulent flame were acquired by using a digital imaging system on an industry-scale pulverized coal-fired test rig?The fractal dimensions of thin thermal mixing layers in flame were computed through morphology-based flame image processing techniques?The effects of the ratios of primary air and secondary/tertiary air on fractal dimensions were characterized?The results presented in this work show that the variations of fractal dimension are closely related to the ratio changes of primary air and secondary/tertiary air. Therefore?the fractal dimensions of flame thin thermal mixing layers can be used as an important indicator for the control and optimization of a combustion process. Bai, X. et al. (2017). Combustion behavior profiling of single pulverized coal particles in a drop tube furnace through high-speed imaging and image analysis. Experimental Thermal and Fluid Science [Online]:322-330. Available at: https://doi.org/10.1016/j.expthermflusci.2017.03.018. Experimental investigations into the combustion behaviors of single pulverized coal particles are carried out based on high-speed imaging and image processing techniques. A high-speed video camera is employed to acquire the images of coal particles during their residence time in a visual drop tube furnace. Computer algorithms are developed to determine the characteristic parameters of the particles from the images extracted from the videos obtained. The parameters are used to quantify the combustion behaviors of the burning particle in terms of its size, shape, surface roughness, rotation frequency and luminosity. Two sets of samples of the same coal with different particle sizes are studied using the techniques developed. Experimental results show that the coal with different particle sizes exhibits distinctly different combustion behaviors. In particular, for the large coal particle (150-212 m), the combustion of volatiles and char takes place sequentially with clear fragmentation at the early stage of the char combustion. For the small coal particle (106-150 m), however, the combustion of volatiles and char occurs simultaneously with no clear fragmentation. The size of the two burning particles shows a decreasing trend with periodic variation attributed to the rapid rotations of the particles. The small particle rotates at a frequency of around 30 Hz, in comparison to 20 Hz for the large particle due to a greater combustion rate. The luminous intensity of the large particle shows two peaks, which is attributed to the sequential combustion of volatiles and char. The luminous intensity of the small particle illustrates a monotonously decreasing trend, suggesting again a simultaneous devolatilization/volatile and char combustion. Zhou, H. et al. (2017). Combining flame monitoring techniques and support vector machine for the online identification of coal blends. Journal of Zhejiang University-SCIENCE A (Applied Physics & Engineering) [Online] 18:677-689. Available at: http://dx.doi.org/10.1631/jzus.A1600454. Bai, X., Lu, G. and Yan, Y. (2017). Flame image segmentation using multiscale color and wavelet-based texture features. Computer Engineering and Applications (Chinese) [Online] 53:213-219. Available at: http://dx.doi.org/10.3778/j.issn.1002-8331.1610-0083. Shan, L. et al. (2017). Studies on Combustion Behaviours of Single Biomass Particles Using a Visualization Method. BIOMASS & BIOENERGY [Online] 109. Available at: https://doi.org/10.1016/j.biombioe.2017.12.008. Li, N. et al. (2016). Prediction of NOx Emissions from a Biomass Fired Combustion Process Based on Flame Radical Imaging and Deep Learning Techniques. Combustion Science and Technology [Online] 188:233-246. Available at: http://doi.org/10.1080/00102202.2015.1102905. This article presents a methodology for predicting NOx emissions from a biomass combustion process through flame radical imaging and deep learning (DL). The dataset was established experimentally from flame radical images captured on a biomass-gas fired test rig. Morphological component analysis is undertaken to improve the quality of the dataset, and the region-of-interest extraction is introduced to extract the flame radical part and rescale the image size. The developed DL-based prediction model contains three successive stages for implementing the feature extraction, feature fusion, and emission prediction. The fine-tuning based on the prediction is introduced to adjust the process of the feature fusion. The effects of the feature fusion and fine-tuning are discussed in detail. A comparison between various image- and machine-learning-based prediction models show that the proposed DL prediction model outperforms other models in terms of root mean square error criteria. The predicted NOx emissions are in good agreement with the measurement results. Sun, D. et al. (2015). Quantitative Assessment of Flame Stability Through Image Processing and Spectral Analysis. IEEE Transactions on Instrumentation and Measurement [Online] 64:3323-3333. Available at: http://doi.org/10.1109/TIM.2015.2444262. This paper experimentally investigates two generalized methods, i.e., a simple universal index and oscillation frequency, for the quantitative assessment of flame stability at fossil-fuel-fired furnaces. The index is proposed to assess the stability of flame in terms of its color, geometry, and luminance. It is designed by combining up to seven characteristic parameters extracted from flame images. The oscillation frequency is derived from the spectral analysis of flame radiation signals. The measurements involved in these two methods do not require prior knowledge about fuel property, burner type, and other operation conditions. They can therefore be easily applied to flame stability assessment without costly and complex adaption. Experiments were carried out on a 9-MW heavy-oil-fired combustion test rig over a wide range of combustion conditions including variations in swirl vane position of the tertiary air, swirl vane position of the secondary air, and the ratio of the primary air to the total air. The impact of these burner parameters on the stability of heavy oil flames is investigated by using the index and oscillation frequency proposed. The experimental results obtained demonstrate the effectiveness of the methods and the importance of maintaining a stable flame for reduced NOx emissions. It is envisaged that such methods can be easily transferred to existing flame closed-circuit television systems and flame failure detectors in power stations for flame stability monitoring. Li, X. et al. (2015). On-line identification of biomass fuels based on flame radical imaging and application of radical basis function neural network techniques. IET Renewable Power Generation [Online] 9:323-330. Available at: http://doi.org/10.1049/iet-rpg.2013.0392. In biomass fired power plants a range of biomass fuels are used to generate electric power. It is desirable to identify the type of biomass fuels on-line continuously in order to achieve an improved combustion efficiency, and reduced pollutant emissions. This paper presents the recent investigations into the on-line identification of biomass fuels based on the combination of flame radical imaging and radical basis function (RBF) neural network (NN) techniques. The characteristic values of flame radicals (OH*, CN*, CH* and C2*), including the intensity ratio, intensity contour, mean intensity, area and eccentricity, are computed to reconstruct two types of RBF NN, that is, accurate and probabilistic RBF networks. Experimental results obtained for three types of biomass fuels (flour, willow sawdust and palm kernel shell) firing on a laboratory-scale combustion test rig are presented to demonstrate the effectiveness of the proposed method. Li, N. et al. (2015). Prediction of Pollutant Emissions of Biomass Flames Through Digital Imaging, Contourlet Transform, and Support Vector Regression Modeling. IEEE Transactions on Instrumentation and Measurement [Online] 64:2409-2416. Available at: http://doi.org/10.1109/TIM.2015.2411999. Li, X. et al. (2015). NOx emission prediction based on flame radical profiling and support vector machine. Proceedings of the CSEE [Online] 35:1413-1419. Available at: http://www.dx.doi.org/10.13334/j.0258-8013.pcsee.2015.06.016. Zhou, H. et al. (2014). Support vector machine based online coal identification through advanced flame monitoring. Fuel [Online] 117:944-951. Available at: http://dx.doi.org/10.1016/j.fuel.2013.10.041. Sun, D. et al. (2014). On-Line Nonintrusive Detection of Wood Pellets in Pneumatic Conveying Pipelines Using Vibration and Acoustic Sensors. IEEE Transactions on Instrumentation and Measurement [Online] 63:993-1001. Available at: http://dx.doi.org/10.1109/TIM.2013.2292284. Sun, D. et al. (2013). Condition Monitoring of Combustion Processes Through Flame Imaging and Kernel Principal Component Analysis. Combustion Science and Technology [Online] 185:1400-1413. Available at: http://dx.doi.org/10.1080/00102202.2013.798316. This article presents a methodology for the diagnosis of abnormal conditions in a combustion process through flame imaging and kernel principal component analysis (KPCA). A digital imaging system is used to capture real-time flame images and radiation signals, from which flame characteristics such as flame area, brightness, non-uniformity, and oscillation frequency are quantified. These characteristics are used as the variables to establish the KPCA model of the combustion process. With the use of Hotelling's T2 and Q statistics, the monitoring of abnormal conditions of the combustion process is achieved. Unlike the traditional principal component analysis (PCA) method, the KPCA method is capable of dealing with nonlinear data via nonlinear mapping, which projects the original nonlinear input space into a high-dimensional linear feature space. The effectiveness of the methodology is demonstrated by applying the approach to processing the data obtained on a 9MWth heavy oil fired combustion test facility. Experimental results obtained show that the KPCA method outperforms the traditional PCA in discriminating between the normal and abnormal combustion conditions, even in cases where the number of training samples is limited. Qiu, T., Yan, Y. and Lu, G. (2012). An Autoadaptive Edge-Detection Algorithm for Flame and Fire Image Processing. IEEE Transactions on Instrumentation and Measurement [Online] 61:1486-1493. Available at: http://dx.doi.org/10.1109/TIM.2011.2175833. flame edges, but the results achieved have been disappointing. emphasize the continuity and clarity of the flame and fire edges. symbolic flame/fire edges are identified for different scenarios. proved the effectiveness and robustness of the algorithm. Lu, G. (2018). Burner Condition Monitoring based on Flame Imaging and Data Fusion Techniques. in: 12th ECCRIA - The European Conference on Fuel and Energy Research and its Applications. TFERF- The Fuel and Energy Research Forum. Rapid growth in electricity generation from intermittent renewables has resulted in increasing demand in conventional fossil-fuel power stations for plant flexibility, load balancing and fuel flexibility. This has led to new challenges in plant monitoring and control, particularly securing combustion stability for optimizing combustion process in terms of furnace safety, fuel efficiency and pollutant emissions. An unstable combustion process can cause many problems including furnace vibration, non-uniform thermal distribution in the furnace, high pollutant emissions and unburnt carbon in the flue gas. The stability of burners should therefore be continuously monitored and maintained for the improved overall performance of the furnace. A study is carried out to investigate the burner stability based on flame imaging and data fusion techniques. Experiments were carried out on a 915 MWth coal-fired power station. A bespoke flame imaging system (Fig. 1) was employed to acquire flame images from 16 individual burners (4 mills each with 4 burners) with a frame rate up to 200 frames per second. The characteristic parameters of the flame, including temperature, non-uniformity, entropy, oscillation frequency and colour characteristics (hue, saturation and intensity), are computed. The relationship between the flame characteristics and burner inputs and flue gas emissions (e.g., NOx) is quantified. Stability index is then introduced as an indicator of the stability of individual burner. Fig. 2 illustrates typical flame images for different burners. Detailed test results and analysis will be presented at the conference. Lu, G. (2018). Investigations into the Impact of Coal Moisture on Burner Performance through Flame Imaging and Spectroscopic Analysis. in: 12th ECCRIA - The European Conference on Fuel and Energy Research and its Applications. TFERF- The Fuel and Energy Research Forum. Despite increasing use of renewable energy worldwide, coal remains to be the primary energy resource to meet the increasing demand for electric power in many countries. However, coal-fired power plants have to cope with coals with different properties, including those with high moisture content. It is known that moisture content in coal does not only affect coal handling but also burner performance, and thus combustion efficiency and emission formation process. A study is recently carried out to investigate the impact of moisture content in coal on the burner performance through flame imaging and spectroscopic analysis. Experimental tests were conducted on a 40MWth coal-fired combustion test facility (CTF). A typical pulverised coal was fired in the study. The variation in evaporated coal moisture was replicated by injecting steam into the primary coal flow in the range of 7%-55% (PFM, primary flow moisture) under different operation conditions including variations in furnace load and fuel-to-air ratio. A flame imaging system and a miniature spectrometer were employed to acquire concurrently flame images and spetroscopic data (Fig. 1). The characteristic parameters of the flame such as spreading angle, temperature, oscillation frequency and spectral intensity are computed and their relationship with the operation conditions including PFM and emissions (NOx, CO) are quantified. Fig. 2 illustrates typical flame images under different steam injections. Detailed experimental results and analysis will be presented at the conference. Lu, G. (2018). Experimental Investigation of Oxy-combustion Behaviour of Single Biomass Pellets using High-speed Imaging and Colour Processing Techniques. in: 12th ECCRIA - The European Conference on Fuel and Energy Research and its Applications. TFERF- The Fuel and Energy Research Forum. Lu, G. (2018). Flame monitoring and characterisation through digital imaging and spectrometry. in: IFRF 2018 Conference- Clean, efficient and safe industrial combustion. Institute of Measurement and Control. Fossil fuel fired boilers are often required to work under variable operation conditions. The variability in fuel diet and load conditions result in various problems in boiler performances. A methodology based on digital imaging and spectrometric techniques is proposed for flame monitoring and characterisation on utility boilers. The system developed consists of an optical probe/water jacket, a digital camera, a spectrometer covering a spectral range from 200nm to 900nm and an embedded computer with associated application software. Computer algorithms are established to determine flame characteristic parameters, including size, shape, temperature and spectral distributions. The spontaneous emissions of flame radicals (e.g., CH*and C2*) and alkali elements such as Sodium (Na) and Potassium (K) are characterised and their relationships with the combustion inputs (e.g., fuel, air-to-fuel ratio) and pollutant emissions (e.g., NOx) are studied. The methodology proposed are examined on a gas-fired heat recovery boiler under different operation conditions. The results obtained suggest there exist close correlations between flame parameters computed and boiler operation conditions. In particular, flame radicals (CH* and C2*) and their ratio show a close relationship with the air-to-fuel ratio. The spectral intensities of Na (589nm) and K (767nm) also illustrate a strong link to the type of fuel. Current work focuses on quantifying the relationship between the flame parameters and the boiler operation conditions and establishing a computational model for online prediction of emissions from flame characteristic parameters. Xiaojing, B. et al. (2016). Multi-mode Combustion Process Monitoring through Flame Imaging and Soft-computing. in: 11th European Conference on Coal Research and its Applications. UK: Coal Research Forum. Available at: http://www.coalresearchforum.org/conference.html. Reliable monitoring and diagnosis of combustion stability in combustion systems such as fossil-fuel fired boilers, gas turbines and combustion engines are crucial to maintain the system safety, combustion efficiency and low emissions, particularly under variable operation conditions. Considerable efforts have thus been made in developing techniques for online monitoring and diagnosis of the stability of a combustion process. Among those, flame imaging conjoined with image processing and soft computing techniques has been paid much attention for both laboratorial and industrial applications. Some imaging and soft computing techniques have been proposed for combustion state monitoring, but most of them can only detect a single-mode condition. However, modern combustion systems often operate under variable conditions (i.e., multi-mode process). Due to the dynamic nature of the combustion process, single-mode monitoring methods often mistakenly determine some normal combustion behaviours as abnormal ones. The recent trend of using a variety of fuels, including low quality coals, coal blends, and co-firing biomass and coal, has further deteriorated this issue. In this study, a method based on flame imaging and soft-computing techniques for multi-mode combustion process monitoring is proposed. Flame images are acquired using a flame imaging system. Mean intensity values of RGB image components and texture descriptors are extracted and computed from the grey-level co-occurrence matrix. Such features are then used as inputs to a combined PCA-KSVM (principle component analysis-kernel support vector machine) model for multi-mode process monitoring. In this method, the PCA serves for eliminating the impact of noise and instabilities on the mode recognition. The KSVM identifies the combustion mode by using the scores of the features in the principle component subspace. Finally, two multivariate statistic indices, T2 and SPE, are computed and used to assess the stabilities of the combustion process. The proposed approach has been examined by using flame images obtained on the UKCCSRC PACT 250kW PF (pulverised fuel) test rig under different operation conditions (e.g., variations in the primary air and secondary-territory air split). Test results have shown that the computed image features represent well the dynamic behaviours of the flame, and that the PCA-KSVM model has outperformed conventional methods in monitoring the multi-mode combustion process. He, Y., Lu, G. and Yan, Y. (2016). 3-D reconstruction of an axisymmetric flame based on cone-beam tomographic algorithms. in: 10th International Conference on Sensing Technology (ICST). IEEE Xplore. Available at: http://dx.doi.org/10.1109/ICSensT.2016.7796314. Cugley, J. et al. (2016). Flame Characterisation in a Multi-burner Heat Recovery Boiler through Digital Imaging and Spectrometry. in: 11th European Conference on Coal Research and its Applications. Coal Research Forum. Available at: http://www.coalresearchforum.org/conference.html. Fossil fuel fired utility boilers fire a range of fuels under variable operation conditions. This variability in fuel diet and load conditions is linked to various problems in boiler performances, particularly the flame quality which is closely associated with furnace safety, combustion efficiency and pollutant emissions. Reliable flame monitoring is thus critical as the flame can fluctuate significantly in terms of size, shape, location, colour and temperature distribution. For instance, heat recovery water tube boilers are commonly used in industry to recover the energy in the exhaust gas from gas turbines. The boiler is fitted with multiple burners which allow flexibility with tuning of the boiler firing rates depending on process steam demand. It was reported that flame properties in such boilers had a direct impact on the flame stability and pollutant emissions (i.e., NOx and CO). There is, however, no technique available for online monitoring and quantifying the flame properties of individual burners. This has resulted in a lack of understanding in how each burner operates with regard to the overall performance of the boiler, particularly the emissions. Under the support of the BF2RA and EPSRC, an imaging and spectrometry based instrumentation system is being developed for flame monitoring and emission. Fig 1 shows the block diagram of the system. An optical probe, protected by the air-cooled jacket, transmits the light of flame to the camera house. The light of flame is then split into two beams. The first beam is captured by a camera to provide images for determining the physical parameters of the flame. The second beam is received by a miniature spectrometer for flame spectral analysis. Intelligent computing algorithms are developed for flame monitoring and emission prediction. The system, once fully developed, will be assessed under a range of operation conditions on a heat recovery water tube boiler at a British Sugar’s factory. More test results will be presented at the conference. Bai, X. et al. (2016). Measurement of Coal Particle Combustion Behaviors in A Drop Tube Furnace Through High-speed Imaging and Image Processing. in: IEEE International Instrumentation and Measurement Technology Conference (I2MTC 2016). IEEE, pp. 1445-1450. Available at: https://doi.org/10.1109/I2MTC.2016.7520582. Hossain, M. et al. (2015). Temperature Measurement of Gas Turbine Swirling Flames using Tomographic Imaging Techniques’. in: IEEE International Conference on Imaging Systems and Techniques 2015 (IST2’015).. Available at: http://dx.doi.org/10.1109/IST.2015.7294541. Li, N. et al. (2015). Prediction of NOx emissions from a biomass fired combustion process through digital imaging, nonnegative matrix factorization and fast sparse. in: IEEE International Instrumentation and Measurement Technology Conference (I2MTC 2015),. pp. 176-180. Hossain, M., Lu, G. and Yan, Y. (2014). Soot volume fraction profiling of asymmetric diffusion flames through tomographic imaging. in: IEEE International Conference on Imaging Systems and Techniques 2014. pp. 427-431. Hossain, M., Lu, G. and Yan, Y. (2014). Tomographic imaging based measurement of three-dimensional geometric parameters of a burner flame. in: Proceedings of IEEE International Instrumentation and Measurement Technology Conference 2014 (I2MTC 2014). pp. 1111-1114. Available at: http://dx.doi.org/10.1109/I2MTC.2014.6860915. Li, N. et al. (2014). Prediction of pollutant emissions of biomass flames using digital imaging, contourlet transform and radial basis function network techniques. in: IEEE International Instrumentation and Measurement Technology Conference. pp. 697-700. Li, N. et al. (2014). A multiple linear regression approach to NOx emission prediction based on flame radical imaging and contourlet transform. in: 10th European Conference on Coal Research and Its Applications. Li, G., Lu, G. and Yan, Y. (2014). Fire detection using stereoscopic imaging and image processing techniques’. in: IEEE International Conference on Imaging Systems and Techniques 2014 (IST2014). pp. 28-32. Hossain, M. et al. (2014). 3-D reconstruction and characterisation of oxy-coal flames on a 250kW combustion test facility’. in: 10th European Conference on Coal Research and Its Applications. Szuhánszki, J. et al. (2013). Experimental investigation of oxy-coal combustion at a 250 kW Combustion Test Facility. in: The 3rd Oxyfuel Combustion Conference. ABSTRACT Carbon Capture and Storage (CCS) technology has considerable potential to reduce CO2 emissions of the energy sector to near zero. Therefore it promises to make a major contribution in mitigating climate change, whilst enabling the continued use of fossil fuels over the coming decades. In addition, it will enhance the energy security of nations with significant fossil fuel reserves, and enable those relying on energy imports to maintain a more diverse range of supply (DECC, 2012). Oxy-fuel combustion is one of the most developed CCS technologies and is suitable for near-term deployment (Wall, 2011). However, in order to ensure the success of the first large scale plants, and thereby demonstrate the technical and economic feasibility of the technology, the fundamentals of the oxy-fuel combustion process have to be fully understood. In oxy firing atmospheric N2 is substituted with CO2 from the recycled flue gas, in order to increase the exit CO2 concentration and to moderate the flame temperatures within the process. This changes the fundamentals of the combustion process and, as a result, oxy-coal combustion differs from conventional air fired combustion in a number of ways, including coal reactivity, flame characteristics, heat transfer and emissions performance. This paper, which explores the combustion of coal under oxy-fuel conditions in a state of the art 250 kW Combustion Test Facility (CTF), focuses on flame characterisation and heat transfer performance. Hossain, M. et al. (2013). Three-dimensional temperature profiling of oxy-gas burner flames. in: IEEE International Conference on Imaging Systems and Techniques. pp. 91-94. Available at: http://dx.doi.org/10.1109/IST.2013.6729669. This paper presents the three-dimensional temperature measurement of an oxy-gas burner flame based on optical tomographic and two-color techniques. Eight two-dimensional (2-D) image projections of the flame are obtained concurrently by multiple imaging fiber bundles and imaging sensors. The LFBP (Logical Filtered Back-Projection) algorithm combined the SART (Simultaneous Algebraic Reconstruction Technique) is utilized to reconstruct the gray-level intensity of the flame based on its 2-D images. The flame temperature distribution is then determined using the reconstructed gray-levels through the two-color pyrometry. Experiments were undertaken under different oxy-fuel conditions. The results show that the flame temperature increases with the O2 concentration and that the temperature distribution of the oxy-fuel flame is more uniform at the root region than that at other regions. Sun, D. et al. (2013). On-line automatic detection of wood pellets in pneumatically conveyed wood dust flow. in: The 8th International Symposium on Measurement Techniques for Multiphase Flows (ISMTMF 2013). pp. 71-75. Available at: http://dx.doi.org/10.1063/1.4872088. Sun, D. et al. (2013). Detecting the presence of large biomass particles in pneumatic conveying pipelines using an acoustic sensor. in: Instrumentation and Measurement Technology Conference (I2MTC), 2013 IEEE International. pp. 1487-1490. Available at: http://dx.doi.org/10.1109/I2MTC.2013.6555661. Qiu, T., Yan, Y. and Lu, G. (2013). Flame stability monitoring through statistical analysis of the medial axis. in: Instrumentation and Measurement Technology Conference (I2MTC), 2013 IEEE International. pp. 1658-1661. Available at: http://dx.doi.org/10.1109/I2MTC.2013.6555695. On-line monitoring of flame stability is crucial as it is closely related to plant safety, combustion efficiency, and pollutant emissions. This paper presents a new method for the stability monitoring of a burner flame using its medial axis. Flame video clips are acquired on a combustion test rig under different combustion conditions. Each frame of the flame video clips is processed and the medial axis of the flame is extracted. The processed medial axes are then superimposed for statistical analysis. The test results show that, although the shape of the flame is randomly fluctuated even under the same combustion condition, some of the statistical shape parameters are relatively stable for the given burner condition. These parameters can be used to indicate the stability of the flame. Li, X. et al. (2013). On-line identification of biomass fuels based on flame radical and application of support vector machine techniques. in: IET Renewable Power Generation Conference 2013.. Available at: http://dx.doi.org/10.1049/cp.2013.1737. Sun, D. et al. (2013). A simple index based quantitative assessment of flame stability. in: IEEE International Conference on Imaging Systems and Techniques. pp. 190-193. Available at: http://dx.doi.org/10.1109/IST.2013.6729689. This paper proposes a simple universal index for on-line quantitative assessment of flame stability. The proposed index has a dynamic range of [0, 1] and is designed by combining the dynamic characteristics of seven parameters extracted from flame images in HSI color space. It assesses the flame stability in terms of color, geometry and luminance. Experiments were carried out on a 9MWth heavy-oil-fired combustion test facility. The impact of the swirl vanes on the stability of a heavy oil flame is investigated. The results obtained demonstrate the effectiveness of the proposed approach to quantitative flame stability assessment. Zhang, Y., Lu, G. and Yan, X. (2013). Modeling and control for a class of singular forest resource system. in: Control Conference (CCC), 2013 32nd Chinese. pp. 2126-2131. Gao, L., Yan, Y. and Lu, G. (2012). On-line measurement of particle size distribution using piezoelectric sensors. in: Instrumentation and Measurement Technology Conference. pp. 1154-1158. Available at: http://dx.doi.org/10.1109/I2MTC.2012.6229391. In many industrial processes involving gas/solid two-phase flows it is desirable to measure various parameters relating to the solid particles. Particle size is one of the most important features relating to process efficiency, pollutant emissions and product quality. In this paper, a novel instrumentation system is proposed to achieve on-line continuous measurement of particle size distribution based on a polyvinylidene difluoride (PVDF) piezoelectric film sensor. The sensor is attached to an impact bar intruding into solid particle flow. The impact events, between the impact bar and the particles, generate a sensor output signal. The relationship between the sensor output and the particle size is modeled mathematically, which can be used to infer the size distribution. Experimental work is undertaken to evaluate the effectiveness of the on-line particle sizing system and the validity of the mathematical model. Hossain, M. et al. (2012). Three-dimensional reconstruction of flame temperature and emissivity distribution using optical tomographic and two-colour pyrometric techniques. in: Imaging Systems and Techniques (IST), 2012 IEEE International Conference. pp. 13-17. Available at: http://dx.doi.org/10.1109/IST.2012.6295577. Hossain, M., Lu, G. and Yan, Y. (2012). Measurement of flame temperature distribution using optical tomographic and two-color pyrometric techniques. in: Instrumentation and Measurement Technology Conference. IEEE, pp. 1856-1860. Available at: http://dx.doi.org/10.1109/I2MTC.2012.6229354.